The findings of the study have significant policy implications because it suggests that bureaucracies can achieve diversity without compromising performance. The world’s largest anti-poverty programme is managed by a corps of elite Indian bureaucrats selected through a fiercely competitive national exam. But half of those bureaucrats scored too low to qualify for their posts based on “merit” alone. Instead, they filled slots reserved for members of three traditionally marginalised groups. Does this far-reaching use of affirmative action in hiring bureaucrats affect the services they deliver? We studied this question and have concluded that it does not. This has significant policy implications because it suggests that bureaucracies can achieve diversity without compromising performance. Quotas in government bureaucracies are common and fiercely contested. Although a large literature has examined affirmative action’s effects in education, politics, and the private sector, its role in bureaucracies remains largely unstudied. This gap in the literature is particularly stark given bureaucrats’ importance in shaping public welfare. While affirmative action policies are intended to change the socioeconomic status of beneficiaries, they may also alter institutional efficacy. A prominent concern about affirmative action is its potential to hurt performance by lowering the quality of personnel. This fear is particularly relevant in bureaucracies with meritocratic recruitment procedures, where affirmative action hires are by definition of lower formal quality than others. But affirmative action’s effect on bureaucratic performance is not necessarily negative. Affirmative action may in fact improve outcomes by making bureaucracies more representative — and hence more successful at serving all citizens, including underprivileged groups. In a new research paper, we sought to what effect, if any, affirmative action has on bureaucratic performance in India. The highest level of the Indian bureaucracy, the Indian Administrative Service (IAS), is one of the world’s most powerful bureaucracies. It monopolises the most important bureaucratic posts and supervises the implementation of anti-poverty programmes vital to hundreds of millions. The IAS also abides by a strong policy of reservations for other backward classes (OBCs), scheduled castes (SCs) and scheduled tribes (STs). 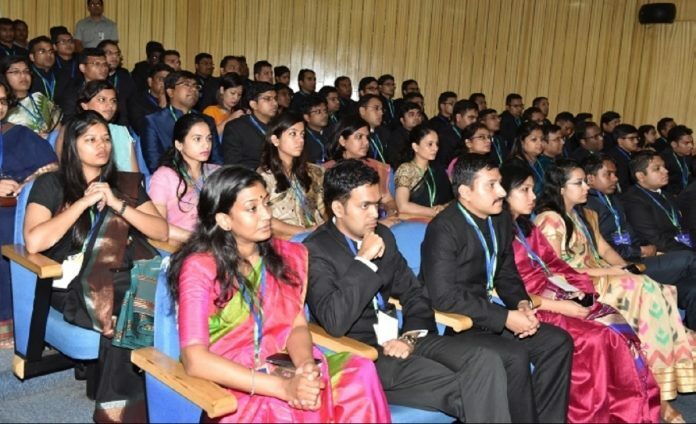 While all IAS officers are selected through a fiercely competitive national exam, at least 50 per cent of positions are reserved for members of three categories of traditionally marginalised groups whose low exam scores would otherwise disqualify them from office. We compiled a rich new data-set with detailed information on the origins, educational backgrounds, and service histories of every IAS officer, as well as their caste category and exam score. This allowed us to determine which candidates were recruited using affirmative action, and by how much they benefited. We could therefore assess how affirmative action hires fared compared to other candidates — including minorities who qualified based on merit alone. We measured the IAS’ bureaucratic output based on its implementation of the world’s largest anti-poverty programme, the Mahatma Gandhi National Rural Employment Guarantee Act (MGNREGA). Under the programme, all of India’s rural households are guaranteed 100 days of unskilled employment on small public works projects. To estimate affirmative action’s effect, we examined whether the assignment of an affirmative action hire to a district changes that district’s MGNREGA outcomes. Our measure of bureaucratic effectiveness was the number of households receiving 100 or more days of employment through the MGNREGA programme: the more households served in any given district, the more effective the bureaucracy. We found that districts served by affirmative action recruits have similar levels of MGNREGA employment than other districts. There is no detectable difference in performance between affirmative action hires and their non-minority counterparts hired on merit alone. Thus, at least within highly selective bureaucracies like the IAS, improvements in diversity can be obtained without efficiency losses for certain types of programme outcomes. In fact, high-scoring minorities who qualify for service without affirmative action perform even better than their similarly situated non-minorities. This finding allows us to reject the worst fears of affirmative action skeptics, namely that these programmes worsen bureaucratic performance. While the wider social and political implications of bureaucratic affirmative action in India have yet to be studied, its institutional effects do not appear to be negative. Rikhil R. Bhavnani is an associate professor, Department of Political Science, University of Wisconsin–Madison. Alexander Lee is an assistant professor, Department of Political Science, University of Rochester. You can read the paper underlying this column—“Does Affirmative Action Worsen Bureaucratic Performance? Evidence from the Indian Administrative Service”—here. What is happening is that these brilliant ppl who could not qualify due to 0.5 marks now go to USA/UK and bring prosperity to these countries!!! The Print just like The Hindu is biased in its assessment on the issue of reservation. Its time we openly discuss the issue of reservation. The point is creamy layer category needs to be introduced in case of SC/ST reservation. I’d really like The Print to justify how Tina Dhabi or Ashok Kumar Meena deserved reservation & not a general category aspirant whose father is guard at Lucknow University. Just one scheme decides if you are a quality officer?What next?Are we recruiting all round officers or managers of MNREGA?Then why not have a small UPSC recruitment for this alone? Why did you not do tjis study in America? Are you too scared? Those who are/were suffering alone can sense/realize/understand the sufferings/predicaments of others. A country like India needs humanitarian/magnanimous/large hearted bureaucrats and not competitive/most brilliant/intelligentsia aristocrats who know only law/rule/protocols/precedence of rulings. The work of district administrator can’t be assessed by looking at outcome of just one program. A district collector looks after several programs at the same time and the cumulative outcome is very hard to assess in the manner in which this paper attempts with MGNREGS program. Moreover there are regional variations which brings significant inherent bias in terms of outcome, irrespective of the officer posted. Therefore any conclusions drawn under this veil of science, in the manner in which this paper tries to attempt, is nothing but pseudoscience. This research looks dubious. The conclusion appear to be politically motivated. The real efficacy of an officer is known by his/her peers, political executives and subordinates. You should maybe incorporate their experiences and understanding in seeking the right approach to carry out this analysis. Thanks.